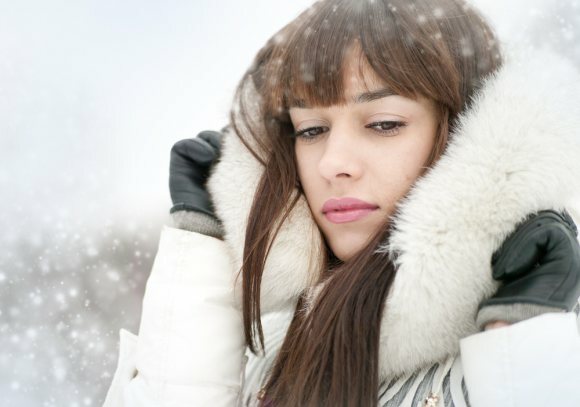 Harsh winter weather can be hair’s worst enemy. From hat hair to static to dry ends and frizz, dropping temperatures signal seemingly endless hair woes. Ski slope sun exposure, drying indoor heat and high winds all present challenges, often resulting in brittle, tangled strands. As a top dermatologist at the Washington Institute of Dermatologic Laser Surgery and the Johns Hopkins Department of Dermatology, Dr. Kazin has seen her share of hair/scalp complaints. Here she shares her tried and tested favorites to help survive winter with shiny, healthy hair. Protect – If you must use heated styling tools, it’s essential to use a good heat protectant spray. I like Aquage Beyond Body Thermal Spray because it has ceramic-infused polymers and fortifying proteins to seal hair’s outer layer. Nourish – To maintain healthy hair, you must add more moisture during the winter months. Apply Oribe Supershine Moisturizing Crème post-shower to calm frizz and satisfy and restore even the thirstiest hair to softness. Shine - Our hair color fades faster in the winter as we wash our hair more often due to weather conditions. Restore radiance and shine with It's a 10 Miracle Leave-in Product. It works on all hair types to bring out natural luster and manageability while also maintaining your color. Frizz- Women with thin, fine hair are hit particularly hard with static. Tame flyaways with Fekkai Brilliant Glossing Crème. It transforms hair's texture to leave it smooth and glowing with vibrant shine.